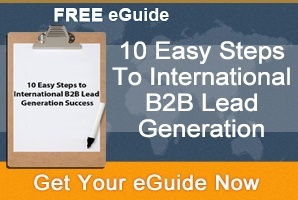 What is the goal of export marketing? In theory, the goal of export marketing is to maintain your marketing efforts domestically while pursuing foreign markets to increase your market share. Historically, marketing internationally has been dependant on government assistance in order to access foreign markets. Therefore, the perception of export marketing is arguably shaped by governments and many small to medium-sized businesses will buy into government methods for marketing themselves internationally. In reality, it could be argued that governments have their own exporting goals in mind, rather than the goals of each individual company they work with. Don’t get us wrong, we’re not criticising government assistance, it plays a crucial role in helping small to medium-sized enterprises (SMEs) access new, overseas markets, particularly in terms of identifying new export opportunities. Equally, government help serves companies well from a logistical and legal perspective. However, it’s the bit in the middle where the help is probably lacking. While governments are proficient at presenting opportunities and helping you overcome export red tape, actually helping you to market your business to win opportunities is probably not in their remit and if it is it’s likely to be structured on their terms, using their methods, which are not the right fit for your business. Therefore, what we want to draw your attention to is that government methodologies for export marketing are not the only option available to you. What does Export Marketing Currently Look Like for SMEs? In the United States, a study conducted by the University of Pittsburgh revealed that small to medium enterprises represent 97 percent of all US exports. Most of those enterprises sought US government assistance with their international marketing efforts, likely stretching their time, finances and resources. It’s a similar story in the UK, with the government’s Exporting is GREAT campaign, which seeks to influence more British companies to export, using government channels as a means of breaking into international markets. Right now, it could be argued that export marketing is heavily influenced by governments worldwide. However, many SMEs would argue that government assistance with exporting is reserved for those with the finances, the time and the resources. Honestly, this statement is pretty offensive, placing the blame squarely at the feet of SMEs. This simply isn’t the case. 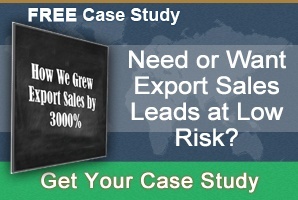 Would any SME really be reluctant to export if they knew they could increase sales and profitability? Suggesting that SMEs are ‘reluctant to export’, as The Telegraph delightfully puts it, is a misrepresentation of SMEs. Why? Let’s take the UK’s Exporting is GREAT campaign. A survey carried out in March 2016 by QuoteSearcher.co.uk revealed that 69 percent of SMEs had no knowledge of the campaign. SMEs could be forgiven for thinking that they had been overlooked by the campaign, plus it blows the theory that SMEs are ‘reluctant to export’, right out of the water. Is it not a fairer statement to suggest that SMEs are reluctant to export because they’re unsure of government motives? For instance, it could be argued that the UK’s Exporting is GREAT campaign, as alluded to earlier, is an exercise in creating a healthy export market as opposed to helping every individual business plot their route to export success. What does the Future Hold for SMEs and Export Marketing? For many SMEs worldwide, exporting marketing is in its infancy or maybe even non-existent. There’s a perception that marketing internationally is costly and time consuming, requiring the setup of offices overseas and the recruitment and management of international sales agents. Unfortunately, this is a perception created by government efforts to encourage more exporting, which gives the impression that international trade is reserved for larger companies with the finances, the resources and the time to execute an effective international marketing strategy. Obviously this wasn’t the intention, but to an extent it’s alienated SMEs. It’s disagreeable that SMEs are reluctant to export given that there has been an increase in the number of small and medium companies recruiting export marketing managers. It’s clear that smaller firms appreciate the value of expanding their market share overseas. 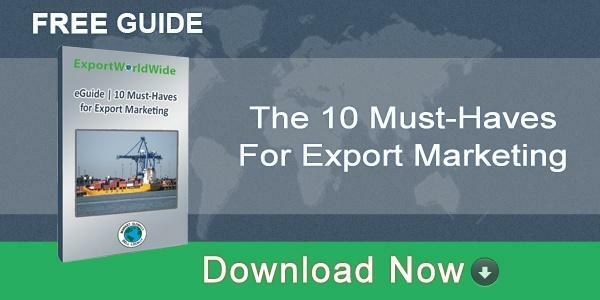 It’s likely that the way in which export marketing has been presented has come across as daunting. With that in mind, a channel like Export Worldwide for instance, represents a low-cost, low-risk export marketing strategy. As an online channel, it negates the need for overseas office setup and overseas sales agents, making it manageable from one central point. Export Worldwide offers the opportunity to upload products and services that will deliver sales leads, helping you to determine precisely where interest in your products and services is coming from. The value of this is that you can develop a solid export marketing plan on the back of verifiable information, ensuring that your time, finances and resources are applied to those areas of the world that deliver results. Equally, you can continuously develop your export marketing strategy in real time, keeping up with market trends. The future of Export Marketing for SMEs is a move away from complete dependence on government assistance in order to develop a strategy more befitting of their needs.